Banks in HCM City are vying with one another to offer preferential loans in an effort to achieve the year's credit growth target of 13-15%. 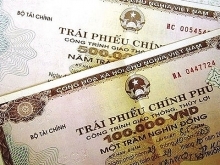 Analysts say that many banks consider the target set by the State Bank of Vietnam as rather stiff and so have begun to make efforts right at the start of the year. Nam A Bank, for instance, recently unveiled a VND2 trillion (US$94.14 million) credit package at 6% interest for corporates and 6.4% for inpidual borrowers. In January HDBank announced loans at a mere 3.8% interest for the first six months for those borrowing between VND500 million (US$23,534) and US$2 billion (US$94,135). Viet Capital Bank recently earmarked VND1 trillion at a rate of 6.5% for start-ups involved in production and distribution. 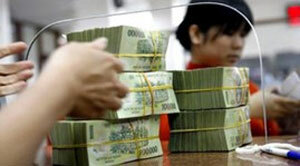 It has unveiled a VND2 trillion package for personal loans at 7.5% and simple lending procedures. At ABBank, inpidual customers wanting to get long- and medium-term loans can get them at 8% for the first 12 months under a VND1 trillion package. Vu Thu Hang, an ABBank executive, said the bank expected long- and medium-term loans to enable inpidual customers to achieve their business plans and personal consumption needs, thus encouraging production and trading activities. Banks have also simplified procedures to ensure quick disbursement of credit. A spokesperson for a bank situated in HCM City's Tan Binh district, who asked not to be named, said lowering lending rates did hit banks' profits but providing services to borrowers will boost their earnings. A central bank official also said that with the fierce competition among banks for good customers, those who want to win must have quality services first followed by preferential interest rates. Phan Dinh Tue, Deputy General Director of Sacombank, agreed, saying that in addition to having reasonable interest rates banks must have policies and mechanisms and utility products to ensure best care for their customers. The banks' efforts seem to be paying off, with credit growth in HCM City significantly improving from the negative situation in the same period in previous years. 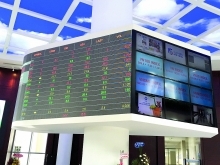 Deputy Director of the SBV's office in the city, Nguyen Hoang Minh, told Tuoi Tre newspaper that in the first two months of the year the city banking sector's credit grew by 1.1%, much higher than in recent years. "Banks are making efforts to cut costs to be able to further slash interest rates on long- and medium-term loans by 1-1.5% as required by the SBV governor. "At present some banks are offering long- and medium-term loans at around 9%."